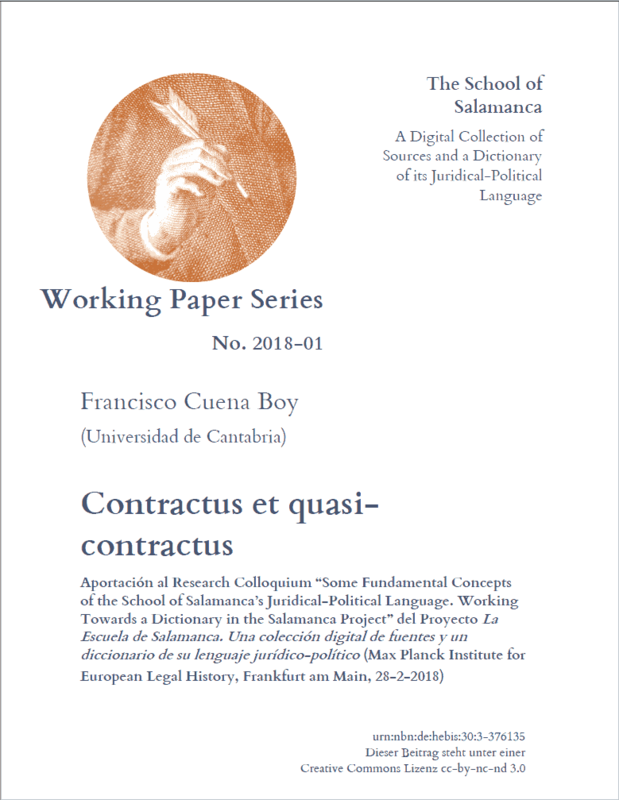 Francisco Cuena Boy: Contractus et quasi-contractus, SvSal WP No. 2018-01. Ideally located in the writer's position of the voice "contractus (& quasi contractus)" of the Dictionary, the author of this paper tries to discover the difficulties that his drafting could imply. The difficulties encountered come mainly from the chronology and the diversity of profiles between the members of the Salamanca School that deal with contracts, from the unusual historical and material extension of the elements they work with and from the need to understand their methods, their initial assumptions and the aims they pursue. At the end, some practical considerations are offered to the voice's drafting.